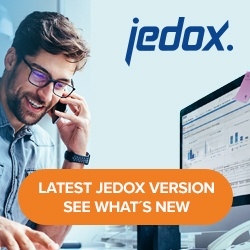 Any Jedox Integrator project can generate documentation that contains an alphabetical list of all components with type, descriptions, and references. A graphic flow chart of a user-specified list of jobs for this project can be included in the documentation. It is possible to navigate within the generated documentation to the referenced components. Project documentation can be easily generated in Jedox Web with the Integrator component or through the Command-Line Client. Open Integrator and right-click on the name of the project to open a context menu. Click on Download project documentation and select the desired format (PDF or RTF). The report will download to your default download folder. Below is a sample report.